Coupons are a great way to manage inventory, increase sales, and reward customers. According to an e-Tailing study, 56% of customers say coupons are “very important” in determining whether they will purchase from a store or not. If used improperly, coupon codes can harm your sales and sour the customer experience. But, by keeping some simple things in mind while creating and using discount codes on your store, you can increase conversions, average order value, and customer loyalty (source). Discounts make people feel like they’ve gotten a bargain and received better value for their money. In this post, we go over a few tips for your strategy around Shopify coupons. 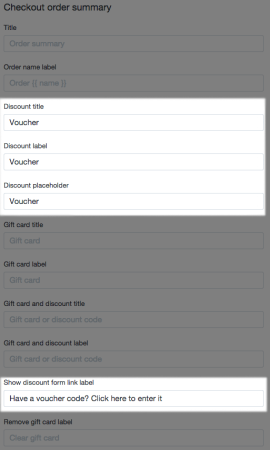 This may be a little counter-intuitive in a post about creating better Shopify coupons. But, if you don’t have any active discounts for your store, you should disable discounts entirely. According to a study by PayPal and comScore, 27% of abandoned carts are due to customers searching for a coupon. 27% of abandoned carts are due to customers searching for a coupon. 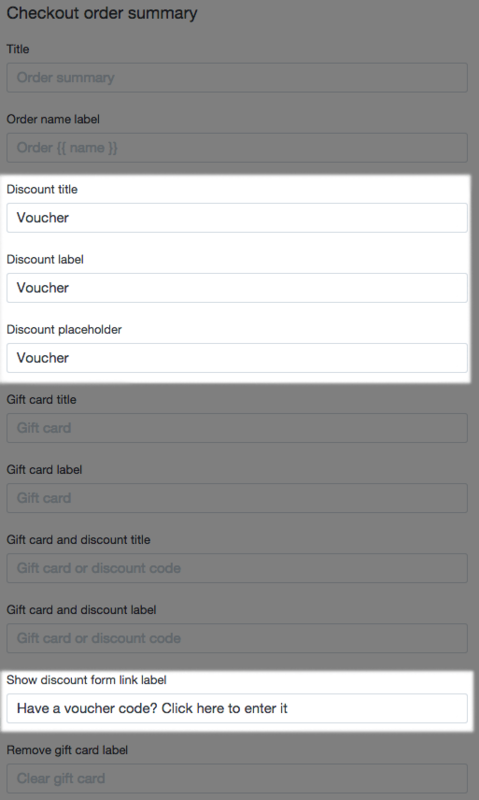 Disabling discounts removes the “Discount code” field from your store’s checkout page. This will prevent customers from leaving your store to search for discount codes or coupons. Less abandoned carts means higher conversions. You can manage the discounts better by setting expiration dates on your discount codes. By default, if you set an expiry date for a discount in Shopify, the discount will expire at 11:59:59 pm on that day. It gives you better control over your discounts, especially if you have a number of active discount codes at the same time. It creates urgency for customers to use the discount code that can help increase sales. It changes customer expectations where they are not always looking for a coupon for your store. It lowers the chance of customers finding an active coupon for your store on forums or coupon sites. While coupons can be a good way to flush inventory, you can also use these to reward customers. You can reward customers based on their purchasing behaviour on your store and certain actions they have taken. You can find a customer group (customers who have spent over $100, placed a certain number of orders, abandoned an order, etc.) through saved searches in the Customers page on your Shopify dashboard. You can select a specific group of customers based on your criteria, get their email addresses, and send them a discount code specifically tailored for them. This creates better customer loyalty as they would feel rewarded for shopping on your store. Another reward can be based on customers following you on social media or subscribing to your newsletter. You can create pop-up areas on your store through apps that can manage the whole process without putting any code. Use apps like Pop Up Window, Coupon Pop, and Daily Deal to create a rich and user-friendly way to reward customers with discounts based on specific actions. Learn more about the Daily Deal app in our previous post. The word “coupon” does some crazy things to people, and can prompt them to leave your site to search for coupons, or be disappointed when they don’t have one. Changing the word “coupon” to something else can be effective at limiting this. By default, Shopify uses the word “Discounts” for language around coupons and discount codes on your store, including the checkout page. This can help differentiate your store from other stores and avoid coupon hunting. It can also fit with your brand strategy in case you don’t like to use “Discounts” and prefer to use something else like “Voucher”, “Voucher Code”, “Promo Code”, etc. This can help avoid abandonment, as customers may assume a “Promo code” is something only certain customers would have, rather than “Coupon”, which sounds like something everyone can use. You can manage your customer’s experience of finding discounts for your store better by creating a “Deals” page on your Shopify store. This page can list all active discount codes so that customers don’t have to go away from your site to forums, or sites like Coupon.com, RetailMeNot, and RedFlagDeals. This creates a better user experience as you’ve made finding discounts much easier for your customers. Customers don’t have to try codes they found on forums that may not work. You can highlight the “Deals” page on your site and even link to the “Deals” page directly from the Checkout page so that customers never miss a discount they could get. A number of retailers use this strategy, including Macy’s, Victoria’s Secret, and Staples. This strategy helped Macy’s increase their sales according to this Internet Retailer article. Shopify has a number of features to enable and enhance discount codes and coupons. There are a number of options built into the platform – like generating and managing discount codes, changing language of discounts on the Checkout page, etc. On top of these options, you can use a number of Shopify Apps to manage and deliver coupons the way you want. Use the Shopify documentation on discounts to see how to setup these for your store. Keep the above tips in mind when you are creating your Shopify coupon strategy. Coupons can be a great way to increase conversion, build customer satisfaction and reduce abandoned carts. But a poorly designed strategy can hurt sales, especially if people go off your site to look for promotions. Always remember, a coupon strategy only works if the profit from sales generated by volume of people purchasing on discount (at a lower margin for you) outweighs the profit of selling fewer items without a discount at a higher margin. What strategy do you use for Shopify coupons? Tell us in the comments. Giving a time limit for the coupons works wonders. There’s just something about the human mind that makes coupons or discounts more appealing when there’s not much time left. Great article! very true! Be sure to make those time limits clear when giving them out as well, that sense of urgency is super valuable.